Stilettos Diary: Polka Dots and Zebra Stripes . Polka Dots and Zebra Stripes . This week on Wardrobe Wednesday it's all about mixing different prints. This season I am seeing Animal prints make a return. From python prints,zebra prints to very faithful leopard prints. Polka dots trend is eternal. 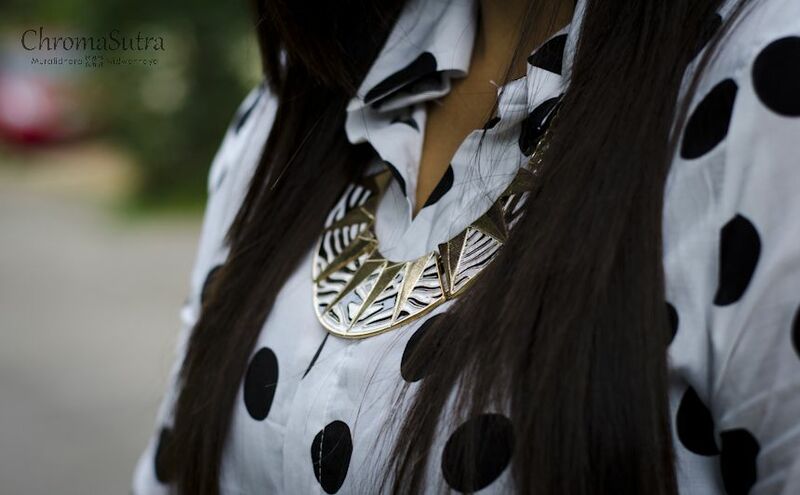 You can mix polka with stripes,polka with animal prints such as leopard print. I have tried to mix zebra prints with polka dots. I always loved mixing patterns which is not too loud. I believe only way you can discover fashion is by breaking rules and wearing outfits which defines your personality. This outfit is so very me. I am huge fan of skirts,polka dots and animal prints. I combined all three in one! I previous did a post in which I mixed leopard prints with zebra stripes. [READ HERE]. Since I am mixing prints usually I would go for subtle accessories, but this time I added bold accessories like a zebra print collar necklace, rose gold watch, few statement rings and red handbag. All I have to say is mix prints and patterns you like, suits your personality. Break the rules and make a statement! Do let me know if you had to mix different prints,which would you mix? I shall wait for all your comments about what you think of the styling and your thoughts on print mixing. If you liked my look, do hype it on lookbook.nu. I love the polka dotted shirt! Beautiful look, I love the pop of color with red. 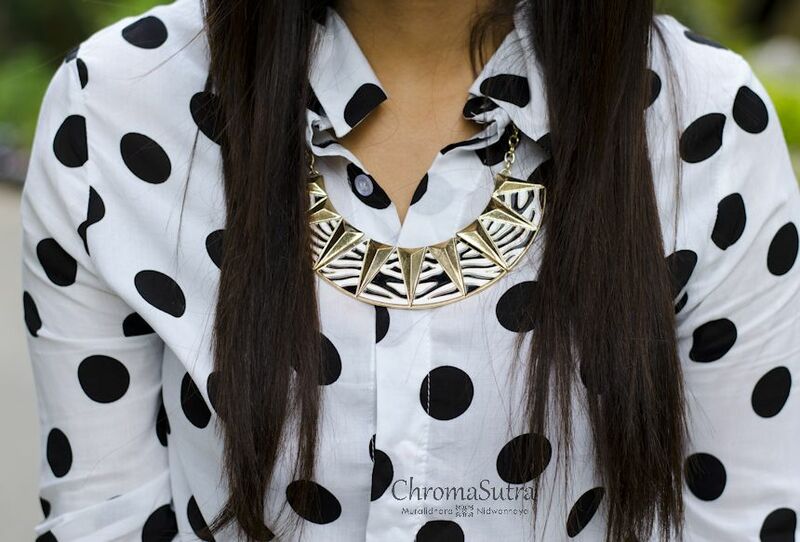 Polka dots are perfect for Fall. I love it! The mixing of prints is fantastic. And I love the red bag. that bag is fab. want it. 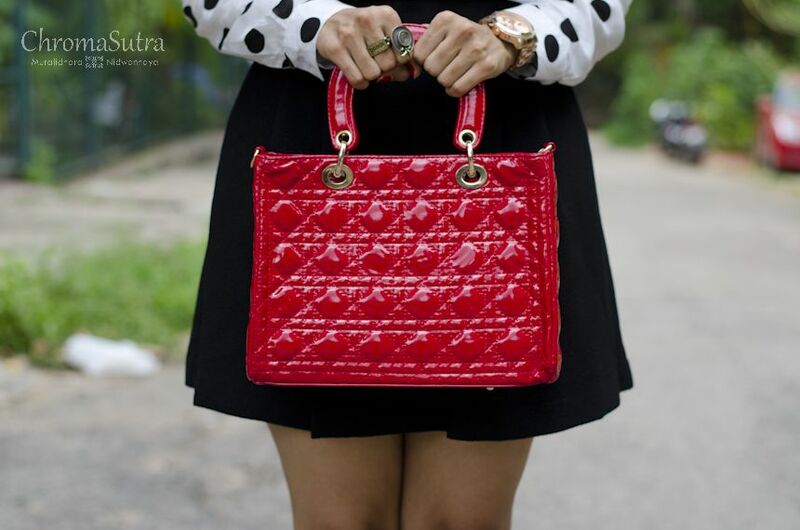 Loving the polka dots and that gorgeous bag! Great outfit as always :) love the polka dot shirt and the shoes with the zebra patterns. Also like the necklace ! Polka dots can never go out of fashion! Love your skirt as well. Love your handbag and your style! Followed! Thanks for your visit, i hope to see u back in "KS"
Loving the pop of red from that cute little bag! This outfit is absolutely incredible! I love the polka dots! Amazing skirt. I love how cute this whole outfit is, love your style!